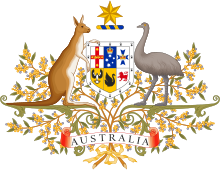 Australia, officially the Commonwealth of Australia, is a country in the southern hemisphere comprising the mainland of the world's smallest continent, the island of Tasmania and a number of other islands in the Indian, Southern and Pacific Oceans. Australia claims approximately two-fifths of Antarctica, but this is not widely recognized. It is a member of the Commonwealth of Nations and its head of state is the monarch, Queen Elizabeth II. The Australian government never comments on specific intelligence matters. I will never say or do anything that might damage the strong relationship and the close co-operation that we have with Indonesia, which is all in all, our most important relationship. Australia has its share of xenophobic politicians... Australia has had some bad governments. Australia's distance from Europe was probably only tolerable because it had strategic commodities which England, threatened by changing European alliances, might some day be unable to produce in the northern hemisphere. Flax was the first conqueror - a hollow conqueror - of the distance which so often shaped Australia's destiny... Australia's place on new trade routes was decisive in its early history. It aided the convict settlement. It prompted the rise of a new free group of Australian traders who did not depend heavily on the favours of governors, who were alert for new ways of making money, and who were eventually to hasten Australia's transition from a goal to a series of free colonies. The convict system in essence was a form of compulsory, assisted migration. It eased the problems created by Australia's distance from Britain. Without it relatively few people from the British Isles would have made the costly journey across the world in Australia's first half century... The value of subsidised migration was not simply in the working men it brought to Australia. Its value was also in the women it enticed to a man's land. One of Australia's sharpest social problems, and one of the problems which Edward Gibbon Wakefield lamented, was the scarcity of women of marriageable or elopable age. So long as Australia primarily served as a gaol for the British Isles, far more men than women came to the land. Australia and New Zealand depended so much on Britain, were in most senses imitations of Britain, that their geographical position near the end of Asia's tail and near the islands of Oceania seemed irrelevant... In December 1941, when Australians began to sense that they were plunged into a new environment, the spectacles they had carried out from Britain were obsolete. They needed spectacles that would correct short-sightedness. They had to see the environment they were in as clearly as the environment they had left across the world. The convict era gave Australia a high English and Irish population and a predominance of men, a tendency to disdain authority and resent policemen, and probably a love of leisure and an indifference to religion. The convict era imposed on governments from the outset a high and detailed role in economic and social life. Some of these convict influences were fragile and were quickly erased or reversed by the waves of free immigration; some were reinforced by later events, so that they persist to this day. We are surrendering much of our own independence to a phantom opinion that floats vaguely in the air and rarely exists on this earth. We should think very carefully about the perils of converting Australia into a giant multicultural laboratory for the assumed benefit of the peoples of the world. I do not accept the view, widely held in the Federal Cabinet, that some kind of slow Asian takeover of Australia is inevitable. I do not believe that we are powerless. I do believe that we can with good will and good sense control our destiny.... As a people, we seem to move from extreme to extreme. In the past 30 years the government of Australia has moved from the extreme of wanting a white Australia to the extreme of saying that we will have an Asian Australia and that the quicker we move towards it the better. To some extent my generation was reared on the Three Cheers view of history. This patriotic view of our past had a long run. It saw Australian history as largely a success. While the convict era was a source of shame or unease, nearly everything that came after was believed to be pretty good. There is a rival view, which I call the Black Armband view of history. In recent years it has assailed the optimistic view of history. The black armbands were quietly worn in official circles in 1988. The multicultural folk busily preached their message that until they arrived much of Australian history was a disgrace. The past treatment of Aborigines, of Chinese, of Kanakas, of non-British migrants, of women, the very old, the very young, and the poor was singled out, sometimes legitimately, sometimes not. ... The Black Armband view of history might well represent the swing of the pendulum from a position that had been too favourable, too self congratulatory, to an opposite extreme that is even more unreal and decidedly jaundiced. Well, I didn't ever think about Australia much. To me Australia had never been very interesting, it was just something that happened in the background. It was Neighbours and Crocodile Dundee movies and things that never really registered with me and I didn't pay any attention to it at all. I went out there in 1992, as I was invited to the Melbourne Writers Festival, and I got there and realised almost immediately that this was a really really interesting country and I knew absolutely nothing about it. As I say in the book, the thing that really struck me was that they had this prime minister who disappeared in 1967, Harold Holt and I had never heard about this. I should perhaps tell you because a lot of other people haven't either. In 1967 Harold Holt was prime minister and he was walking along a beach in Victoria just before Christmas and decided impulsively to go for a swim and dove into the water and swam about 100 feet out and vanished underneath the waves, presumably pulled under by the ferocious undertow or rips as they are called, that are a feature of so much of the Australian coastline. In any case, his body was never found. Two things about that amazed me. The first is that a country could just lose a prime minister — that struck me as a really quite special thing to do — and the second was that I had never heard of this. I could not recall ever having heard of this. I was sixteen years old in 1967. I should have known about it and I just realised that there were all these things about Australia that I had never heard about that were actually very very interesting. The more I looked into it, the more I realised that it is a fascinating place. The thing that really endeared Australia to me about Harold Holt's disappearance was not his tragic drowning, but when I learned that about a year after he disappeared the City of Melbourne, his home town, decided to commemorate him in some appropriate way and named a municipal swimming pool after him. I just thought: this is a great country. You can take them out of England, but you just can't take the convict out of them. God bless America, God Save the Queen, God defend New Zealand and thank Christ for Australia. Yeah mate I bloody was like a rat up a drainpipe in one of them runs there. Nick Cummins, as quoted in "Translating the world’s most Australian man, Western Force rugby player Nick Cummins", news.com.au, 26 February 2014. This country shall remain forever the home of the descendants of those people who came here in peace in order to establish in the South Seas an outpost of the British race. It is of no use to shut our eyes to the fact that there is a great feeling all over Australia against the introduction of coloured persons. It goes without saying that we do not like to talk about it, but it is so. No continent is as small and fragmented as Europe. Only Australia is smaller. We have this cohort of people in Australia who haven't moved as far as we'd like them to... The Australian Dream. We sing of it, and we recite it in verse... "Australians all, let us rejoice for we are young and free." My people die young in this country. We die 10 years younger than average Australians and we are far from free... Australians are coming to this with newly opened ears and clear eyes, yet we have been telling this story for so long... One day, I want to stand here and be able to say as proudly and sing as loudly as anyone else in this room, Australians all, let us rejoice... Australia as a nation was formed in 1901. My people have been in Australia 20,000 years... So for us, once we're included in the constitution we will then have reason to celebrate, but not at the moment. So far, the world economy, particularly Australia and the United States, have benefited greatly from Chinese economic growth. This is likely to continue to be the case for some time... Values and institutions based on freedom, democracy, human rights, and market economics must now compete for adherents on a global basis. This is a big challenge not only for the United States but also for Australia... A way must be found for the United States and China to work together with the rest of the international community to meet the global challenges we face. Success in this effort will require the closest cooperation among the United States, Australia, and our friends and allies in the Asia-Pacific. And to a great extent, Australia is leading the way. Paul Hogan: America, you look like you need a holiday, a fair dinkum holiday. You'll have to learn to say g'day. 'Cause every day's a good day in Australia. Paul Hogan: G'day, love. You'll have to get used to the local customs like getting a sun tan in a restaurant, playing football without a helmet, and calling everyone 'mate'. Thanks, mate. Paul Hogan: Apart from that, no worries. You'll have the time of your life in Australia. Come on, come and say g'day. I'll slip an extra shrimp on the barbie for you. I'm not in favour of going back to a White Australia policy. I do believe that if it is – in the eyes of some in the community – that it's too great, it would be in our immediate-term interest and supporting of social cohesion if it were slowed down a little, so the capacity of the community to absorb it was greater. The White Australia is yours. You may do with it what you please, but at any rate, the soldiers have achieved the victory and my colleagues and I have brought that great principle back to you from the conference, as safe as it was on the day when it was first adopted. I love food, all types of food. I love Korean food, Japanese, Italian, French. 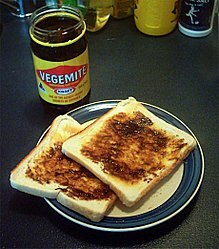 In Australia, we don’t have a distinctive Australian food, so we have food from everywhere all around the world. Hugh Jackman, as quoted in "Hugh Jackman Calls Daughter "White Foods Girl", OK Magazine, 2 June 2011. Douglas William Jerrold, as quoted in A Land of Plenty, reported in Bartlett's Familiar Quotations, 10th ed. (1919). Australia has its faults, as does any other country. But laughing in our face about it, then mocking our heritage was definitely not called for. It embarrassed and degraded our country as well as making us look like total idiots. James Joyce, "Cutting edge — feature" (5 November 2005), The Newcastle Herald, p. 8. In Australia, if you drive a red or yellow Bentley convertible down the street, everyone thinks "What a wanker!" These little critters aren’t the type that just land on your bread roll whilst eating out at a restaurant... This means they make a beeline for places such as the inside of your ear, your mouth, nostrils, or eyes... If they land on your leg or hand they’ll happily just stand there for minutes on end rubbing their front legs together like some manic chef sharpening his calving knives before cutting into a big joint of meat. Mark of Getting Down Under, "Flies in Australia - Kind of Annoying!" As Australians we have been for generations privileged to live in the country. We have a mostly cohesive multicultural society with high rates of successful immigration. This week the maiden speeches of three senators from both sides of politics were full of praise for multiculturalism and the benefits it has brought the country. Unlike Europe, we don't have any mainstream extreme right-wing supremacist political parties and there is a genuine public acceptance of multiculturalism and its place at the heart of the country's modern character. In joyful strains then let us sing, "Advance Australia fair!" Vizzini: Not remotely. Because iocane comes from Australia, as everyone knows. And Australia is entirely peopled with criminals. And criminals are used to having people not trust them, as you are not trusted by me. So I can clearly not choose the wine in front of you. Man in Black: Truly you have a dizzying intellect. Vizzini: Wait 'til I get going... where was I? Vizzini: Yes, Australia, and you must have suspected I would have known the powder's origin, so I can clearly not choose the wine in front of me. Australia was a fantastic choice because it has lots of quirky visual things. And it's a country that is really very close to America, very in sync with America. We are so similar but yet there are all these fantastic differences, familiar yet twisted. It was intentional to make it very inaccurate. That was our evil side coming out: We'll take our knowledge of Australia and we'll twist it around to stimulate an audience and annoy them at the same time. Australia is still a young nation that lacks a true identity. We need to establish ourselves as a unique entity. God hates Australia, land of the sodomite damned! 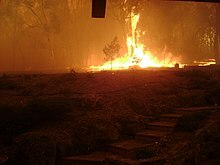 The fag-infested land of Australia is burning. The fire of God's wrath is sending hundreds of those filthy Australian beasts straight to hell! We at Westboro Baptist Church are rejoicing, and we are praying that the dear Lord would burn many more Australians alive... Don't you stupid Aussies get it? Australia is doomed! Nothing, and nobody, can help you. You have sinned willfully after you have received knowledge of the truth. Whenever we have the Simpsons visit another country, that country gets furious, including Australia. Aussie kids are Weet-Bix kids. Our community cohesion is currently under strain. This isn't mere speculation. A recent survey of Muslim people in Sydney indicated that 57 percent had experienced racism - a rate about three times higher than the national average. As documented in the Australian Human Rights Commission's Freedom from Discrimination report, published in November, many communities believe there has been a marked increase in anti-Muslim abuse and vilification... 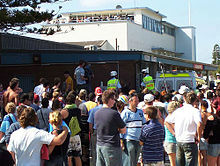 The Cronulla riot represented not the best, but the worst of national pride. It was caused by a lapse, from which we are not immune - not then, and not now. Because where there is fear and hate, prejudice and intolerance, something like it could happen again. I think it's one of those great unresolved topics in Australian society. I'm not sure anyone necessarily has a perfect answer to the problem but a lot of people are concerned about it. I was shocked, disgusted, angry and confused as I walked into my school the day after the Cronulla riots. I was 14 years old... The Cronulla riots. One of the ugliest episodes in recent Australian history didn't happen in a vacuum. It was a culmination of a bubbling undercurrent of racial tensions and clashes between young Caucasian and Middle Eastern men... Australia's undercurrent of racism reared its ugly head that day. And despite it being 10 years ago, many are still affected today. The majority of my Year 12 cohort went on to attend university, college and TAFE. Some entered the workforce. Many went through an identity crisis. Some changed their name to make it more "Anglo-friendly" for work purposes. Some internalised racism. Others adopted a victim mentality and blamed the system for everything that went wrong in their life. While others developed an inferiority complex. Sadly, some still carry these demons with them today... Until recently I thought we'd improved race relations in Australia. The Adam Goodes saga tells us otherwise. If our elite athletes get racially abused, what hope does the average Khaled, Ahmed or Maryam have of a fair go in society? Mohamed Taha, "Generation Cronulla: How the riots shaped who I am" (11 December 2015), The Drum, ABC.